When autumn brings the first ripe apples I have to bake apple cake. 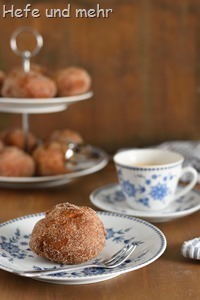 The best apple for apple cakes is (and will always be) “Jakob Lebel”, a heritage apple with great flavour. 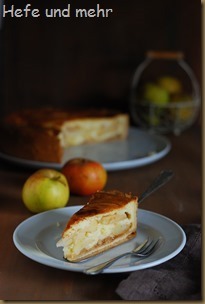 My parents grow “Jakob Lebel” in their garden and so I can bake apple cakes with my favourite apple! This year was bad year for apples and so there will be not as much apples as in the last years. And so I have to enjoy and celebrate every apple I get!In Günthers book I found a recipe for apple cake with a sour cream and quark filling which sounded perfectly for me. And so I calculated the recipe down to a standard size spring form (26 cm diameter). The dough is a yeasted short crust, a kind of crust I learned to love because it is easy in handling. 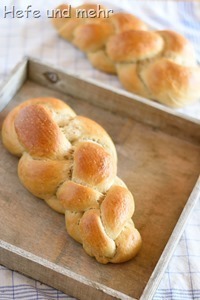 It is made by mixing a yeast dough (for example with some challah dough or some sweet starter) and a short crust pastry. It is a very good crust – not only in handling but although in taste. The filling of apple slices and quark tastes delicious, too. As a little improvement I would blanch the apples the next time I bake this cake to make them really soft but this is only due to my personal preference. The cake is really great and I’m sure that I did not make him the last time! Shortcrust pastry: Knead all ingredients until a crumbly dough has formed. Chill for 30 min. 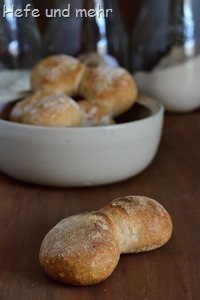 For the yeasted short crust combine both dough and knead until a homogenous dough has formed. Roll to a circle and place it in a spring form with 26 cm diameter. Sprinkle bread crumbs on the dough and layer with apple slices. Now prepare the quark filling. For that mix quark, sour cream, cream and egg yolks with sugar, flour and starch. Whip egg whites with sugar and salt to soft peaks and fold it under the quark mixture. Pour the filling on top of the apples. Bake for 50-60 min at 180°C until the top of the cake is browned and the apples are soft. 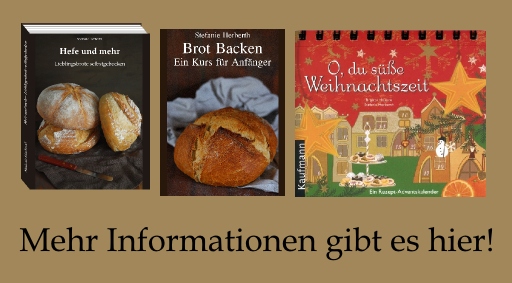 Du hast dich ja nun bereits durch einige Apfelkuchen-Rezepte gebacken – hast du einen Liebling für mich? 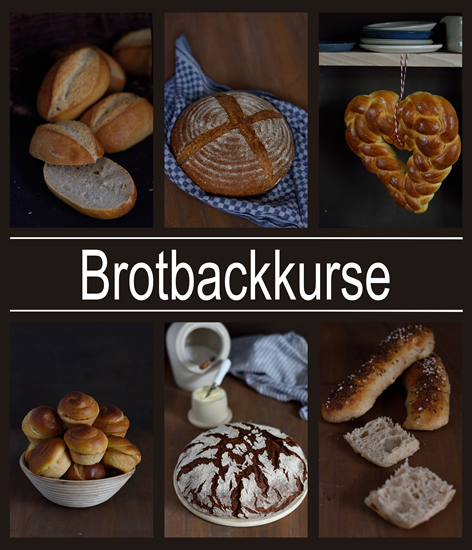 @Micha: Mein Lieblingskuchen ist ganz klar der Apfelkuchen Elfriede! Dein Apfelkuchen sieht sehr lecker aus, Äpfel sind bei mir reichlich vorhanden ;-), da werde ich mir gleich mal das Rezept ausdrucken.